Rebecca Richmond-Smith investigates the new kid on the block in medical research. THE GENERATION of induced pluripotent stem cells is circumnavigating ethical issues normally associated with the production of embryonic stem cells while allowing innovative research. These ethical issues are to do with when the onset of human personhood is. The reprogramming of somatic cells to produce induced pluripotent stem cells avoids the ethical problems specific to embryonic stem cell research. The induced pluripotent stem cells start off as regular cells, such as fibroblasts (connective tissue cells). 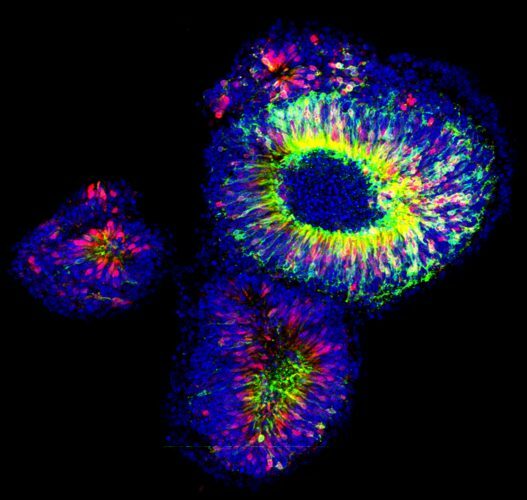 These cells are induced to become pluripotent stem cells via reprogramming factors, causing expression of genes to produce and maintain the essential properties of embryonic stem cells. Induced pluripotent stem cells can then be differentiated to numerous cell types, including cardiac cells and motor neurons, which are difficult and dangerous to harvest in a living person. Additionally, the cells derived from the same individual have the same antigens, which are protein markers on cell surfaces that illicit an immune response if they are not the same as the individuals. Therefore, there is no immune rejection by the body, reducing surgery risk and meaning that patients don’t have to take immunosuppressant for the rest of their lives. These cells are revolutionising research and are particularly useful in disease modelling and drug discovery. Induced pluripotent stem cells can be superior to embryonic stem cells traditionally used to treat many conditions where more stem cells are needed but the specific stem cell for the tissue cannot be harvested. Human stem cells have already started providing revolutionary new treatments to previously untreatable conditions, such as repairing spinal cord injuries. Stem cells were used in Poland in 2014 in order to help repair a spinal cord injury. Olfactory ensheathing cells from the olfactory bulb are thought to be derived from stem cells in the nasal lining. The cells assist neural regeneration and ensheath non-myelinated neurons, allowing gaps in the spinal cord to close up, so signals can travel down the spinal cord allowing sensations and control of movement to be regained. The idea of transferring a patient’s own stem cells to a site where needed could be used in many medical treatments. Another potential application of stem cell therapy is in diabetes, where insulin producing cells in the pancreas may die due to too much stress when helping to keep blood glucose levels regulated. Induced pluripotent stem cells could be used in order to ethically produce the type of stem cells needed, while minimising chances of rejection as the cells are obtained from the same individual. Recently it was shown that fully functional insulin producing pancreatic cells were able to be produced from fibroblasts in mice using the induced pluripotent transduction technique. As mentioned above, this may provide a potential cure for diabetes. This combined with earlier research, showing that induced pluripotent stem cells and subsequent motor cells can still be produced in patients as old as 82 years old, provides hope that in the future patients of any age may be able to be cured using autologous stem cell therapy. The research on induced pluripotent stem cells may even lead to the advent of personalised medicine. We are all individual, meaning that we each respond differently to different medicines. In much the same way that tumours, which may contain multiple types of cancer, would need different ‘cocktails’ of drugs in order to specifically target and kill all the cancerous cells, one disease may need a different ‘cocktail’ of drugs depending on what is causing it and the person’s genome. In 1999 Vioxx, a painkiller, was introduced by the drug maker Merck to the market before being withdrawn in 2004 due to it increasing the risk of cardiovascular problems in some patients, occasionally leading to fatalities. While a subset of people experienced cardiovascular problems, another subset didn’t and were able to alleviate day-to-day pain, such as that caused by severe arthritis. It has been proposed that if Merck had been tested on a genetically diverse array of cardiac cells, from induced pluripotent stem cells, in petri dishes they would have been able to identify which genetic subgroup experienced cardiac side effects and which subgroup didn’t. This would have allowed doctors to prescribe Vioxx on the basis of whether the medicine would induce side effects in the individual patient. With the advent of microarrays to quickly and cheaply detect a person’s genetic markers, as well as increased speed and decreased cost of sequencing this may allow personalised medicine to become a possibility in the not too distant future. Increased understanding of the diseases themselves can come from using induced pluripotent stem cells in research. The cells present an efficient tool for in vitro modelling of diseases such as Parkinson’s Disease. These models can then be used for screening potential new drugs that could help reduce the neurodegenerative process. Research and clinical trials can become faster, more efficient and cheaper. Drugs can be tested for side effects on all cell types, ethically derived from induced pluripotent stem cells. Multiple genotypes from many people can be used as induced pluripotent stem cells can come from a small skin sample, allowing drugs to be tested on tissues of a variety of genotypes. This could potentially allow specific genotypes, indicated by genetic markers, to be prescribed different drugs to other genotypes to increase effectiveness and minimize any potential side effects. The importance of induced pluripotent stem cells has already been recognised in the field. The 2012 Nobel Prize in Physiology or Medicine was awarded to Sir John B. Gurdon and Shinya Yamanaka for discovering mature cells can be reprogrammed to become pluripotent. More developments are sure to come, bringing new promising prospects for human healthcare, and change many lives in an unimaginable way.